Please see below for details of two COCOA workshops that we have undertaken so far. On Saturday 23rd May, award winning poet AB Jackson and COCOA lead artist Paul Evans led a creative writing workshop based at Exchange Place studios within the Castlegate Quarter of Sheffield. 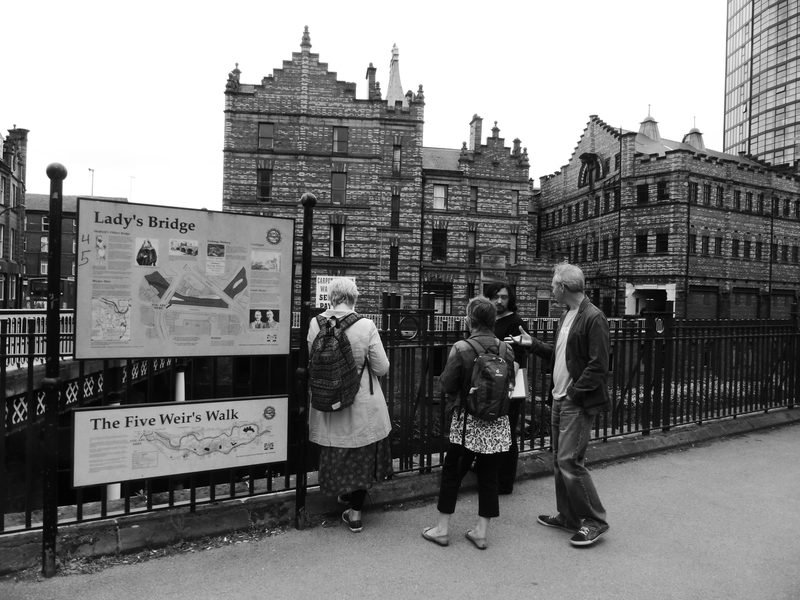 The workshop included a short guided walk through the area, which allowed us to take in some of Castlegate’s historical locations for inspiration. During the workshop we used a variety of techniques to explore space and time through the medium of text. Two main products emerged from the workshop: ‘Confluence’, a collective poem about the meeting point of the River Don and the River Sheaf and a series of specialist terms for our Castlegate Glossary. The full text of ‘Confluence’ will form part of a programme of large scale projections onto Exchange Place Studios for the Castlegate Festival. Andrew Buchanan Jackson is an award-winning poet. His first book, Fire Stations, was published by Anvil Press in 2003, and won the Forward Prize for Best First Collection that year. In 2010 he won first prize in the Edwin Morgan Poetry Competition, and in 2011 Donut Press published a limited edition pamphlet, Apocrypha, which was the Poetry Book Society Pamphlet Choice for Summer 2011. His second full collection, The Wilderness Party, to be published by Bloodaxe in September 2015, is a Poetry Book Society Recommendation for Autumn 2015. Andrew currently teaches at Sheffield Hallam University as part of his Creative Writing PhD, and has given poetry workshops and online courses for The Poetry School (www.poetryschool.com). He has also taught creative writing to adults in further education colleges in Glasgow. On Tuesday 2nd June pupils from King Edwards School Sheffield visited Exchange Place studios and took part in an afternoon of creative activity with COCOA lead artist Paul Evans. 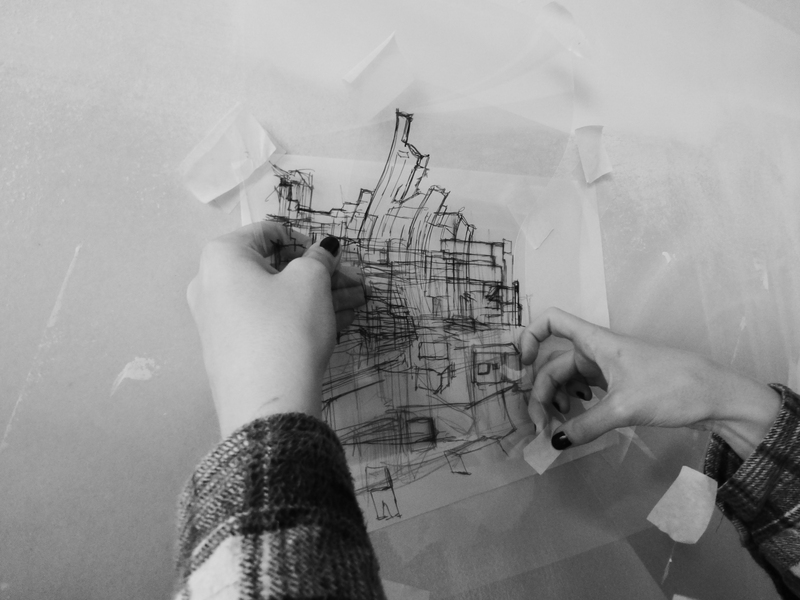 After lunch we battled with the wind to make a panoramic drawing based on views from the roof of Exchange Place Studios, and then we took to the streets of Castlegate, focussing on details and fixing them in time using an instant camera. Finally we put images and words together to make a few more special terms for our Castlegate Glossary.